Amazing Drapery Hardware Our eCRATER Store About Us Contact Us Add to Favorite Sellers 50 QTY:C. S. Osborne & Co. Threaded Nails for Buttons, Size 22:9/16" dia(77756) Osborne Threaded Nails, Size 22:9/16" diameter Length of nail 1 1/2". 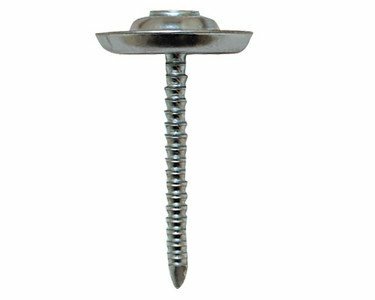 When anchored with a spring lock washer, the Threaded Nail is a fast, positive, alternative to prong tufting. Just the nail through the upholstered construction and fasten in on the back with a spring washer. Deep threads are designed so spring washer slides on easy, yet can’t pull off. Nail is rigidly welded to collet. Spring Washers not included. Threaded Nails Size 22 9/16" Diameter You will receive 50 Threaded Nails Spring Washers, Fabric, and Button Press not included. Click here for more product information Find this and much more, at our eCRATER store, Amazing Drapery Hardware. We ship internationally.Select one of our international shipping options to take advantage of our discounted international shipping rates . Buyer pays any import fees- tax/tarrif/duty. WORRIED THESE ARE RIGHT FOR YOU? NO PROBLEM! We accept returns on all our parts within 30 days for a full refund. AND We are also here to help you through your ordering process. AND We are still here to help with any questions you may have about your installation once you receive your parts and get to work. QUESTIONS??? EMAIL US We have years of window treatment experience, WE CAN HELP!.